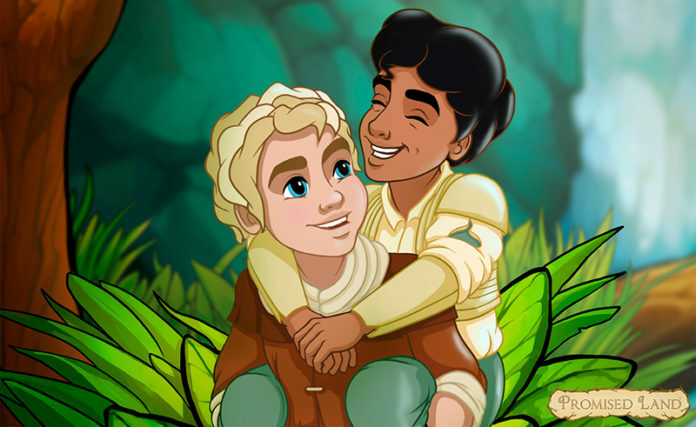 An LGBTQ-themed children’s book that was funded through Kickstarter by two New Zealand men is being released today, Valentine’s Day. Wellington-based authors Adam Reynolds and Chaz Harris have produced the book Promised Land, which is about a young Prince and a farm boy meet in the forest and a growing friendship between them that blossoms into love. In a Kingdom where all are considered equal, regardless of what they look like or who they love, Promised Land is a new fairytale about friendship, responsibility, adventure, and love. Written by Reynolds and Harris, the book features illustrations by Christine Luiten and Bo Moore. Co-author Adam Reynolds talked about how his own childhood was a driver to making this book for the next generation. “I wanted to create the kind of story I wish I’d had growing up, one where the sexuality of the characters was not the defining focus or a reason for any conflict,” explained Reynolds. 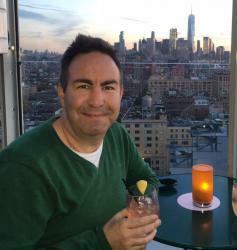 Chaz Harris believes in the importance of positive media portrayals of LGBTQ characters and stories. “If you don’t see yourself in stories, you don’t see yourself in the world,” Harris explained. “I grew up without any stories to show me that ‘happily ever after’ could even exist if I was gay. That makes coming to terms with your sexuality a very isolating and traumatic experience for many young people. The eBook version of Promised Land is available on Amazon and iBooks in English, Spanish, Spanish for Latin America and Brazilian Portuguese, with further languages to follow.